Jenson Button – A good result and no-one can take that from him, yet he doesn’t seem to have that spark like say, Hamilton or Alonso..
Lewis Hamilton – Despite crashing he was by far the only driver worth watching during the race. Force India – Both drivers (and the team) should be very proud for what they’re achieving, especially Liuzzi with his qualifying effort and strong running until retiring. Reb Bull Racing – Didn’t get much of a mention in the video because they’re letting the championship slip away. I thought their car was supposed to be very good aerodynamically? Perhaps they needed to turn the engine down to preserve them..? Yes, that’s true. Read on to get the inside line on this fantastic opportunity. 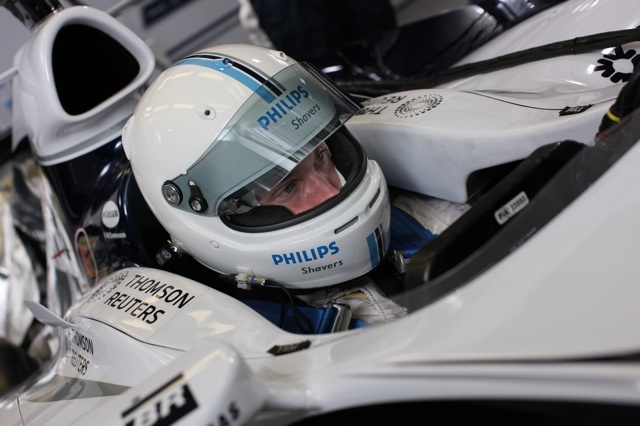 Philips is teaming up with AT&T Williams to provide one lucky, no, scratch that, skilful person the opportunity to drive the Williams FW29 at the Silverstone Circuit in England, UK. 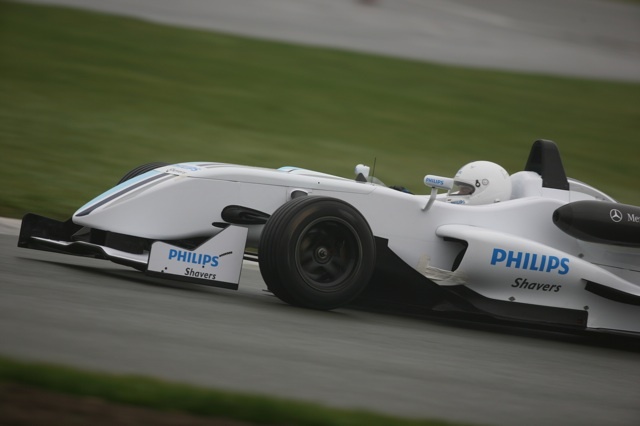 The bottom line is, you head over to http://www.philips.com/attwilliams/, register, answer a few questions and you set a hot lap in the online racing game. If you’re amongst the 10 fastest you’re already on the winners list. You get an invite to compete in the assessment day and a visit to Williams HQ in Oxfordshire – an experience in its own. At the end of the assessment day three persons will be picked. All three will get to drive a sports car with instructions from Kazuki Nakajima. The two best will get to drive an F2 car for five laps and the best one will then get to drive the Williams FW29 with a one-to-one briefing from Kazuki before hitting the track. The winner will have a total of five laps of awesomeness on Silverstone Circuit in Northamptonshire in UK. But, that’s not all. All these steps include various things to assess your skills and your attitude. 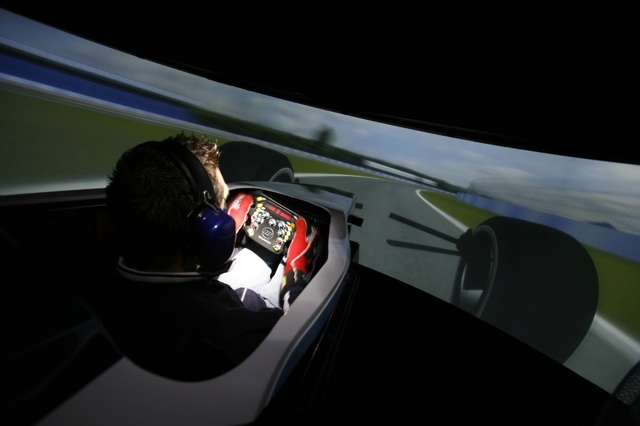 One of the steps is time on the F1 simulator – think a super expensive and above all accurate version of Gran Turismo on the Playstation and you might get close. This simulator has got hydraulic pumps to give you feedback that’s as realistic as a huge bunch of cash will allow, it can load any of the tracks, it can simulate any material changes or set-up on car, and so forth and so forth. (By the way, Nico gets a bit car sick in the simulator, whilst Kazuki will carry on all day like a Ninja at a training camp). This isn’t just a lottery game that’s governed by Lady Luck. No no! Sir Skills is what will take you there, along with Mr Maturity, but enough clichés. Practice your hot lap, a lot. Get to be fastest. Really. Simply the 10 fastest will be chosen. It doesn’t matter who you are, as long as you’re amongst the 10 fastest. Get racing! They’re looking for maturity, not the next Schumacher. Keep that in mind at all times. They’re not going to stick this hyper expensive car in your hands if the first thing you’re going to do is to charge, with the rev limiter bouncing, out of the pits into the first gravel trap. They’re also looking for people who can listen, and take directions and tips on board. There’s going to be a lot of information provided, and these guys know what they say, so you better listen to them. The third thing you’ll need to master is to be able to know what every button, knob, lever and gizmo does in the cars. Get the inside line on this by reading up, like a proper F1 geek, on all the material you can find ab out the environment of race cars. There it is. Set a lap that’s in the top ten, then act maturely, listen to what they have to say, and easy peasy you’ll be piloting that FW29 down Hanger Straight at Silverstone. 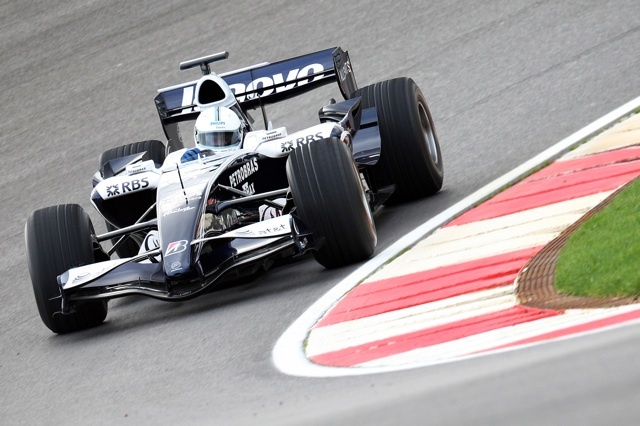 How Philips have managed to convince Frank Williams and Patrick Head to let one of their amazing Formula One cars into the hands of a Joe or Joanne Public is beyond my comprehension, but it is amazing nevertheless. Who would have thought the Belgian GP would have so many surprises. It all started with a crazy qualifying. You would have thought the fuel loads would explain a lot of the grid positions but the race turned out to be a big surprise too. 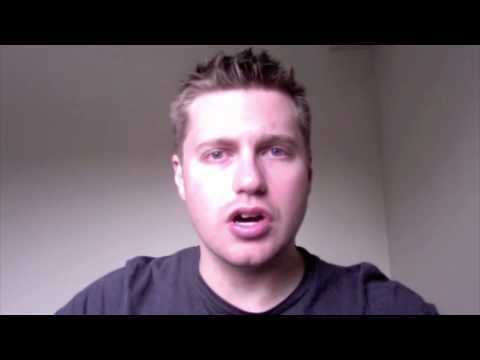 KERS – There’s so much talk about KERS being the only reason Kimi won the race. Sure, that helped him get the lead but I think the people complaining about KERS just have a case of sour grapes. No one complained about KERS being an advantage when it was making McLaren and Ferrari slow at the start of the season. There is a weight distribution penalty after all (ask McLaren) and any of the other teams are free to run it if they think it’s an advantage. Kimi Raikkonen – As the Ferrari gets better, Kimi has been steadily delivering the goods. More so than last year it has to be said. Would be really nice to see him back at McLaren next year – not sure Brawn will do too well in 2010. Sebastian Vettel – The only driver in the championship hunt to really capitalise on Jenson Button’s misfortune. Red Bull Racing – Someone really needs to talk to their pit guys to get things together. These penalties and near misses are too costly for them. Jenson Button – Couldn’t really see from the replay whether he was unlucky or a bit too ambitious. I tend to think unlucky as you’re there to race but in any case his luck came in the fact that once again his nearest rivals didn’t score to well. Let’s face it, the 2009 Spanish Grand Prix from Valencia was really boring. Unless you find pit-stop mistakes exciting there really wasn’t any good racing to get excited about. Rubens Barrichello – Great to see Rubens win. He actually did a damn good job to keep in touch with Hamilton even if it was a McLaren pit-stop error that ultimately handed him the win. Only thing I don’t like about Rubens is why he’s such a clown on the podium when he wins. Sure, we have to love a guy that will cry even at the sight of a small puppy, but his antics on the podium are obviously an inside joke that most people don’t get.. Still, congrats Rubens! Lewis Hamilton - Unstoppable… except for the tyre stop Seriously though without the pressure of being in the championship hunt Lewis is hard to stop with a good car under him. Luca Badoer – WTF!? Ok.. in previous years any monkey could have stepped into a Ferrari or McLaren and at least be half way up the grid. This year everyone’s a lot closer and the top teams are struggling somewhat… but to qualify at the back of the grid and then have one of the most woeful races ever!? The fact that Kimi finished 3rd shows the car is pretty good. There’s too much to say on this matter – gonna have to follow it up with a post of it’s own..
Heikki Kovalainen – Not bad, but how did he fall to 4th. Hmm..
Fernando Alonso – Not much to say. Not a bad result but nothing spectacular in front of his home fans. Jenson Button – Did well to get ahead of Mark Webber, but both championship contenders didn’t look like worthy champions. Sebastian Vettel – Boy this boy is unlucky. Mark Webber – Had a chance to close on the championship. Not sure why it didn’t happen. BMW – Looks to have found a little pace? A little being the key word.. but still, worth noting given they’ll be gone next year. Toyota – Were they in the race? I didn’t see them the whole time..
Force India – Seemed to be going pretty well..
Romain Grosjean – The race didn’t go so well for him. Qualifying wasn’t too bad. For some reason I feel this guy has a lot of potential.